Are you looking for a unique and special gift that is perfect for satisfying a sweet tooth? Here at Keep It Sweet we stock a delicious range of beautifully romantic sweets and chocolate for Valentine’s Day along with jars, gifts and tuck shops for a tasty sweet fix. Even if you’re not a hopeless romantic, we have the perfect Valentine’s Day Sweets for you to wow your loved one with. Whether you’re stuck for ideas or are looking for a last-minute, hassle-free present, we have sweets to suit even the fussiest of eaters. Valentine’s Day Sweet Jars contain a fantastic selection of romantic themed sweets and a whole lot of delicious heart-shaped goodies for your loved one to dig into (and hopefully share!) and comes in a beautiful glass or plastic bobble-topped jar to bring back plenty of nostalgic memories of childhood afternoons spent in the old sweet shop! For example, our ever-popular Love Jar is filled with Ring Pops, Heart shaped Lollipops, Maltesers and a whole host of other truly delicious sweets to put a smile on a special somebody’s face - after all, the way to someone’s heart is through their taste buds we say! Or maybe you’re looking for an alternative to all the traditional Valentine’s gifts? Alongside our Valentine’s Day Sweet Jars, we have everything from Tutti Frutti Jars to Casino Jars to help you celebrate Valentine’s your way. For example, maybe your partner if football crazy? If so, then you won’t need a box of chocolates and a card to please them - our Football Jar is the perfect gift for a footie fan and is sure to satisfy a sweet tooth. 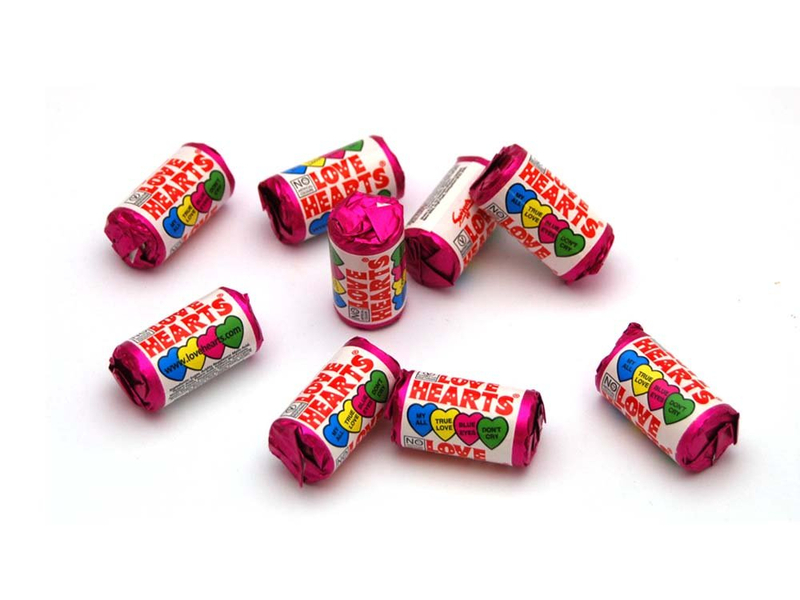 Mini Love hearts are one of the most iconic and most loved Valentine’s Day Sweets. These classic fruity sweets were first put in Christmas crackers over the festive period and the packets used to be painted by hand. Since then they became so popular that it was decided they were to be sold all year round - much to our delight now! They have been translated into multiple different languages, given away with famous comics and a sculpture of the nation’s favourite sweet was even placed in the Millennium Dome as a chosen icon of the 20th century. Our Love heart Cubes are a great unique bite-sized gift to dig into after dinner and keep a sweet tooth satisfied. Or we even have a Mini Love Hearts Bulk Bag, containing approximately 250 rolls, to ensure you’re stocked up on these tasty treats for the rest of the year! Another popular type of Valentines Sweets and an all-time retro classic is Strawberry and Creams. These delicious hard-boiled sweets are a true old-school favourite and are sure to not only satisfy a sweet tooth, but also bring back plenty of happy and nostalgic memories of childhood days spent in the sweet shop after school! And not only do they taste oh-so-delicious, they are also an iconic British delight - fresh strawberries and cream is a well-loved dish and a true symbol of summer. Although it’s not quite the season for Wimbledon and barbeques, what better way to treat your loved one with a taste of the sunshine than with these truly scrumptious Valentines sweets? Or to suit a smaller budget, our Love Jars are available in a range of different sizes to make the perfect romantic gift or extra gift alongside another. Confess your love with tasty Mini Lovehearts, experience a tongue-tingling time with fruity Fizz Wiz or even propose with a childhood-classic Ring Pop and be sure to make this Valentines Day one to remember with this fun range of Valentines Sweets. And amongst our range of Valentines Sweets, we also have a huge selection of gifts and goodies for you to give to friends, family members and colleagues, alongside that extra special somebody. Spread the love with our cute bite-sized 250ml Love Jar filled with ‘all the good sweets’ and be sure they feel special and appreciated this Valentines Day. We also stock Retro Cubes and Pyramids that make the perfect sweet treat to brighten somebody’s day including Parma Violets, Black Jacks and creamy Butterscotch that are sure to cure a sugar craving in an instance! Or why not treat the office to a Retro Tuckshop Box that is sure to be a hit and will spoil you all for choice. You might even get made a cup of tea for it if you’re lucky! 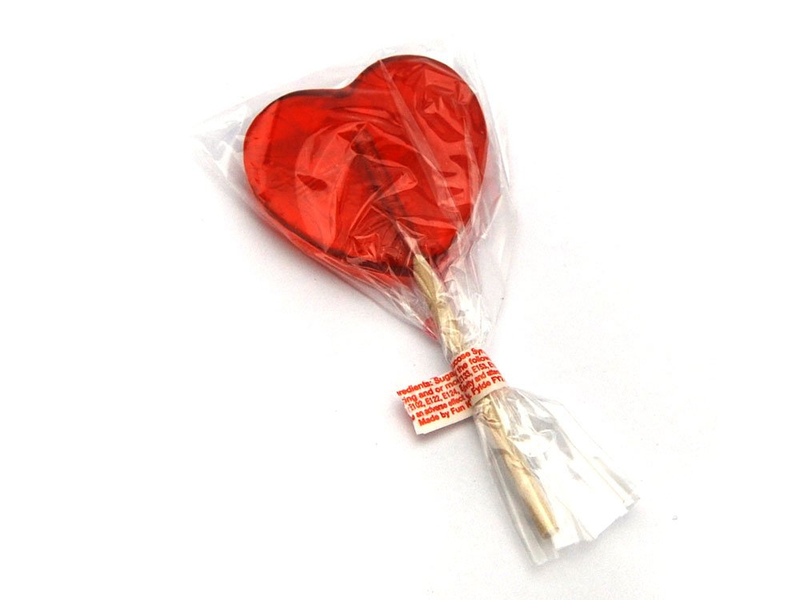 If you’re not keen on the idea of everything pink and heart-shaped, but still want a special gift, then retro sweets are also a great, unique Valentines gift that they are sure to love. Why not treat them to a Bulk Box of their favourites to keep them stocked up for the rest of the year? With a box of 50 Dip Dabs or a Bulk Box of fruity Refreshers, you can never go too wrong! View our full range of Valentines Sweets here and get ordering yours today.